Bringing plants into the house can feel like you’re instantly breathing new life into a tired space, nevermore so than in early Spring. The trend for filling one’s home with the lush greenery of houseplants has not passed me by - I’ve been busy creating my own indoor jungle for a while now. But, until recently, I’d been frustrated that I couldn’t find the more unusual or rare plants I wanted locally. Last Autumn, I was mooching about the streets of Lewes doing some early Christmas shopping when I happened across a tiny hidden gem of a shop in The Needlemakers. It’s hard to overestimate the sheer joy that is From Victoria, a boutique dedicated to all things horticultural for the home, founded by ceramicist Victoria Turner. The things this lovely lady can do to create an inspiring and creative space will make your heart skip a beat. 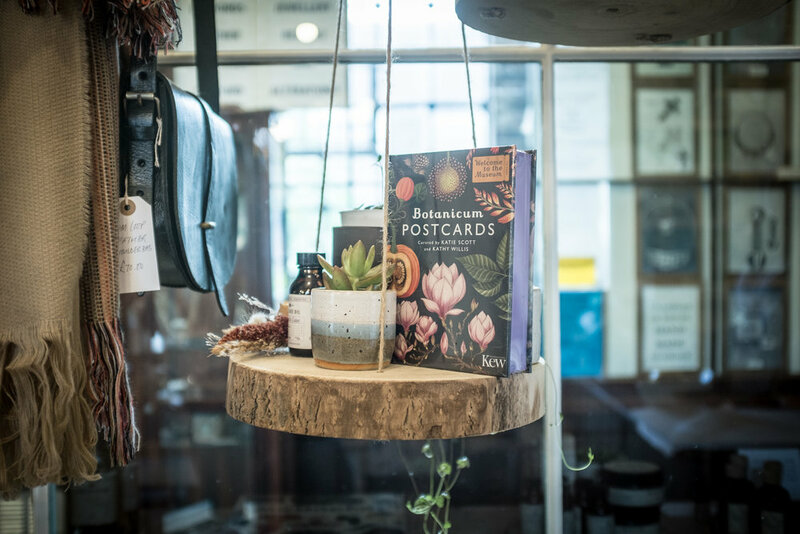 Inside this diminutive but undeniably beautiful store, there are cacti, tiny succulents and terrariums, huge leafy ficus and monstera plants (and many more I didn’t recognise), hanging, beaded macrame baskets, wooden plant stands and pretty ceramic pots. 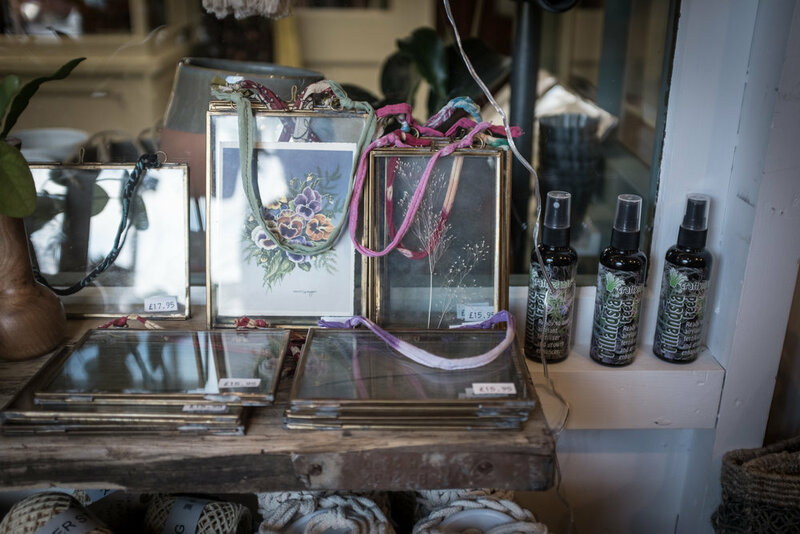 Nestled in among them are vintage French pressed flower prints, Munio candles and handmade cards. What’s more, Victoria and her assistants can tell you all you need to know about caring for the plants she stocks. I fell in love instantly and wanted to buy it all. I caught up with Victoria recently to chat styling, city breaks and walking the South Downs Way. Claire: How did the idea for From Victoria come about? Victoria: I bought a vintage suitcase from a flea market about a year before I opened the shop. When I took the suitcase home I noticed a torn label on it saying ‘From Victoria’. I think this was always at the back of my mind. I felt that the suitcase was meant to come home with me and that the shop was meant to happen. So I started From Victoria shop. Claire: Was there a specific moment that inspired you to launch the brand? Victoria: Having been a ceramicist for many years, I was selling my porcelain pieces wholesale to other shops. I loved the idea of having my own shop with a studio. Claire: What were you doing before you set up From Victoria? Victoria: I was working part time as a visual merchandiser for a large retail company whilst also making and selling my own porcelain ceramics. Claire: How did it all start? Victoria: I walked past an empty shop unit within the Needlemakers building in Lewes and the very next day I had a shop! I had not planned to open a shop, but I had always thought all my experiences would lend well to having my own shop. The people of Lewes are very supportive of independent businesses offering something unique to the town and they have been really supportive of me. Claire: What are your sources of inspiration? Victoria: My sources of inspiration are eclectic - from my background in art to my love for interiors and all things botanical. I enjoy visiting and exploring various cities for inspiration. My most recent trips were last year when I visited Copenhagen and Amsterdam. Although I had never previously been to these places, they felt like home. I loved how much house plants were an essential part of people’s lives there and were in every shop, office, cafe and home. I have plans to travel to Italy this year. Claire: In your opinion, what makes a “feel good” interior? Victoria: An interior for me should evoke a sense of wellbeing and comfort. I look for a combination of my favourite scented candles, objects and collections with memories, plants for purifying the rooms, furniture with history, cushions, rugs and blankets for warmth, and colours that make me feel relaxed. An interior should be welcoming, cheerful, warm and personal to you. Claire: Which plants would you recommend to those who are new to houseplants or who may occasionally, er, forget to water them?! Victoria: My Favourite go-to plants would be Pilea ‘Chinese money plant’ which is really hardy with beautiful round shaped leaves. It’s very easy to propagate, too. Also the Epipremnum ‘devil's ivy’ is a lush green heart shaped trailing plant. The hardiest would have to be succulents and cacti. We have loads of varieties to choose from. Claire: How do you find the buying and curating process? Victoria: Probably the best part of running a shop is sourcing new stock! Each season I pick a colour palette and choose items that I think will work together. I recently visited a trade show in Paris to source unique items for the shop as I always want to bring my customers something new that they have not seen before. Claire: If you had to define the world of From Victoria three words, what would they be? Victoria: Every day someone tells me how much they love my shop. The main comment is ‘can I move in?’ This is what makes it all worthwhile. Claire: What does a typical day for you involve? Victoria: Each day varies depending on what my focus is and how busy the shop is that day. If it is a particularly busy day in the shop I will be mainly chatting and serving with customers. When I am not serving I will be multitasking: displaying and re-arranging stock, checking and accepting and packing online orders, replying to emails, ordering stock, accounting etc - the list goes on! I do have a few lovely assistants in the shop now to help with packing online orders and working in the shop on my days off as we are open 7 days a week. I am slowly learning to delegate. Victoria: Keeping on top of everything! The to-do lists are endless. Claire: And the most rewarding part of your job? Victoria: When customers tell me how much they love the shop. I also particularly love styling the new stock and coming up with new display ideas. Claire: What’s the best piece of advice you’ve received? Victoria: That it’s impossible to achieve everything at once. Someone once said to me, take little steps and that has stuck. Prioritise what you want to achieve and do one thing really well before you move on to the next. Victoria: Do it! Nothing ventured, nothing gained. Victoria: Spending time with my husband and family is really important to me. We love day trips to surrounding towns and villages. I live in Eastbourne and we love walks along the South Downs, which is on my list to do more of this year. Claire: Could you name some favourite destinations, and favourite shops and restaurants, here and abroad? Victoria: Abbotsbury Subtropical Gardens was my favourite place to visit recently while I was camping in Dorset last summer. It has the most breathtaking gardens I have ever seen and I will definitely be going back! Parham House in West Sussex is another favourite. And I love the Greek islands. Skiathos is one of my favourites and I have a lot of fond memories of holidaying there. Bourtzi Cafe has the best views, along with the best mohijtos! Claire: Who are some of the other creative people you enjoy following? Victoria: I love Instagram and follow so many inspiring creative people - too many to choose from. But I particularly love @the_shopkeepers as they post images of shops from across the globe, which is really inspiring to see. Claire: What are some of Lewes’ best kept secrets? Victoria: Lewes is such a lovely, creative town, with so many self-employed, inspiring people. The high street is lovely but there are lots of hidden treasures away from the main streets. When you're next visiting Lewes explore the whole town and you’ll find some amazing places. Bun & Bean cafe on Mount pleasant, just around the corner from the Needlemakers does the best, most mouthwatering vegetarian burgers. Claire: What’s next for From Victoria? Victoria: Continue to grow the online shop, and I’m always on the lookout for bigger premises in Lewes. From Victoria: The Needlemakers, West street, Lewes, East Sussex.